Eastern Cottontail is not only the most widespread rabbit in the United States, but also the only species that made its way to as far as South America. These rodents are often seen in the outskirts of forests and in meadows and is the most popular animal to be hunted by humans in the United States. Eastern Cottontails reach a medium size of 36 – 46 cm and a weight of 1 – 2 kilograms. They have a red-brown or gray-brown appearance, while its underside is completely white. The females are generally larger than the males, which is unusual for rabbits. Eastern Cottontail’s hind legs are highly developed, allowing the rabbit to sprint at a speed of about 40 km/h and jump as far as 3 metres. 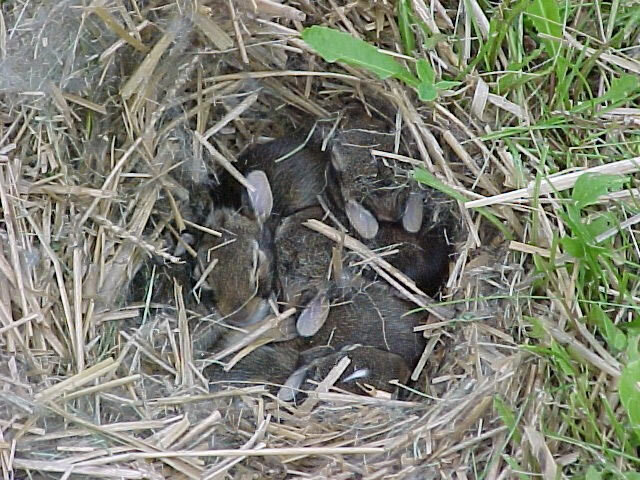 These rabbits are usually nocturnal, looking for food in late evenings and at night. The rest of the day is spent hiding in the bush or in small holes. Eastern Cottontails don’t dig their own burrows, and only in bad weather they seek shelter in burrows abandoned by other animals. These rabbits are also not very territorial and they don’t mind other individuals in their territories. Like other rabbits, the Eastern Cottontail feeds on grass and basically any vegetation they find. It should also be noted that they consume massive amounts of food. Their digestive system is adapted to processing incredible amounts of food. As all rabbits, they often bother farmers, sneaking into vegetation fields and eating off everything in a very short time. Females of this species can give birth four to five times a year, with as much as 9 kits per litter, although the average is four to five. The mortality rate of kits is very high and most of them are hunted in the first few weeks of life. If all Eastern Cottontails would grow to full maturity, every pair of rabbits would have 350 descendants after five years. Females take full care of the kits, making a warm shelter for them and feeding them with fat-rich milk every day. Eastern Cottontails reach sexual maturity in 5-6 months and their lifespan in the wild is about 3 years. 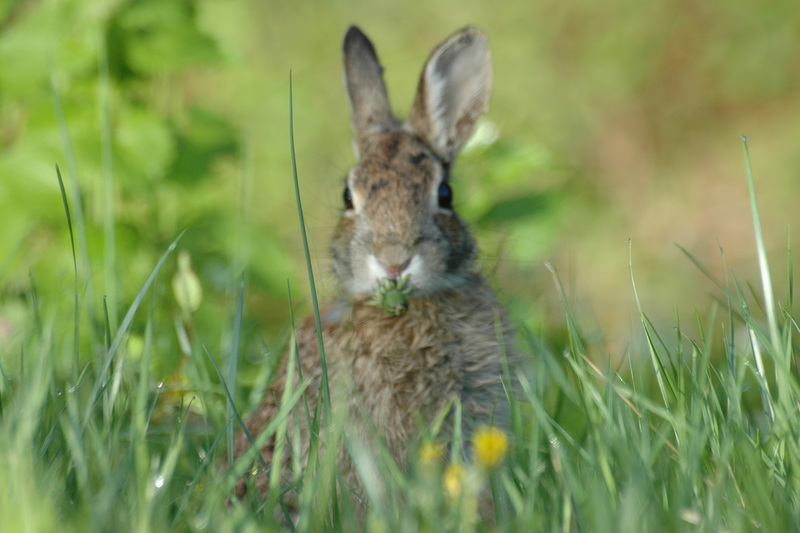 Eastern Cottontails don’t mind the presence of humans and are therefore easy targets for hunters in the U.S. These rabbits are the most hunted small animals in the United States and in many areas, farmers will try to keep their population in control, else they would reproduce so quickly that all vegetation in the area would be in danger. Having such a steady reproduction rate, these rabbits have a stable population and they are not endangered.